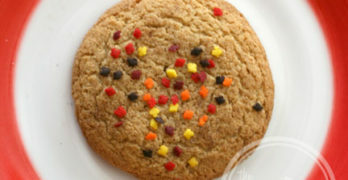 As a blogger, one thing I occasionally need to do is mail giveaway prizes. However, I am not a regular shipper. I have a tiny stockpile of boxes, but most of them are around the size of a shoe box, which would be perfect if I was mailing a shoe box, but 99/100 times, I’m not. The frugal side of me shudders to think of paying extra money for shipping because the box I’m using exceeds a certain side. 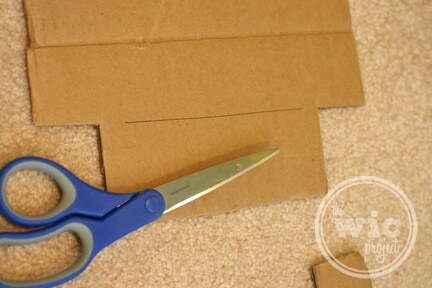 So today, I grabbed a pair of scissors and decided to make my own small cardboard boxes from one large cardboard box. Cut off one side of the cardboard box. 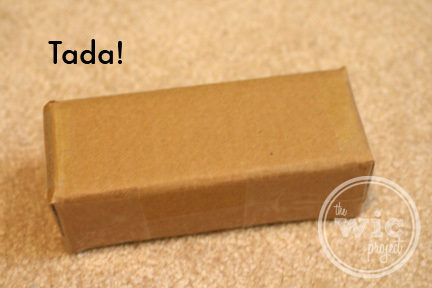 Place the item you are wrapping onto the cardboard flaps, aligning one side of the item with the edge of the box. Use a pen or pencil to mark off the edges of the box. Also, flip the item towards it’s top side so you can mark off any extra cardboard at the top. 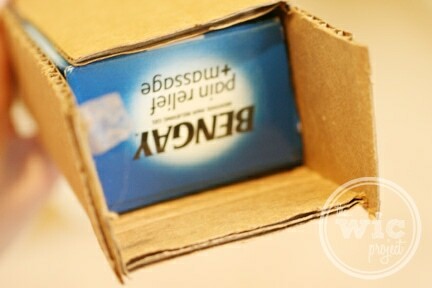 Cut along the top and bottom edges of the box, as well as removing any extra cardboard at the top. 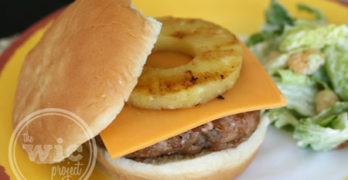 You should have a rectangle sticking out. 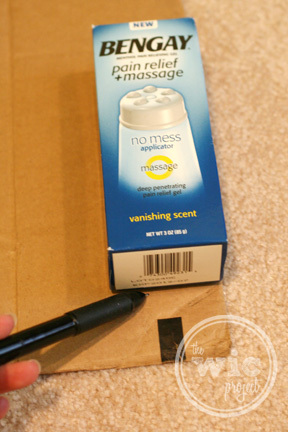 Wrap the cardboard around your item, so you can mark off the other sides. Note that when I say “wrap” I actually mean firmly bend and press. 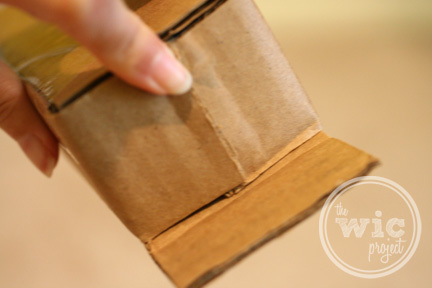 Cardboard doesn’t fold freely – it requires some effort. On the side opposite to the rectangle you cut out in step 4, make two cuts along each side. This is so you can fold the flap over the ends of the box. 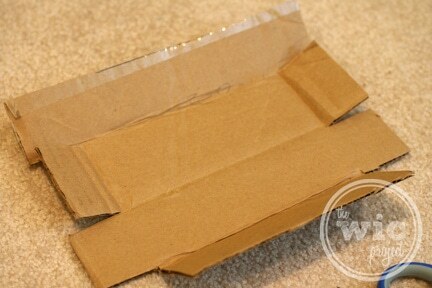 This is what your cardboard shape should look like. You may or may not need to cut off excess cardboard on the very end. You can mark it off with your pen and then cut-it off. 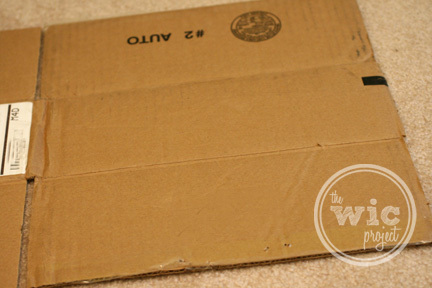 Alternately, if you have excess cardboard, you can fold it at the edge and tuck it under the cardboard flap. 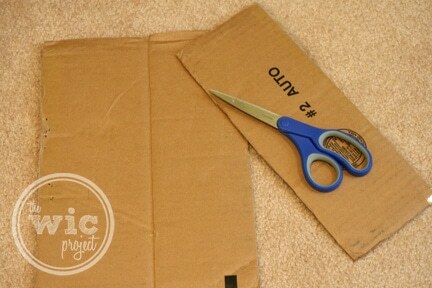 Wrap your item in your new cardboard box. 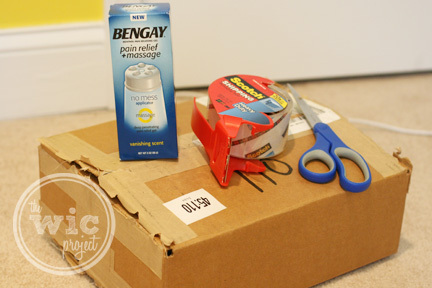 Apply tape tightly along the length of the box. 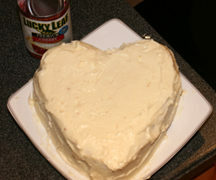 Fold in the two flaps on the side, and then the wider flap. Tape the flaps down. Repeat on the opposite side of the box. Apply an extra layer of tape around all of your flaps and tada! You’ve made a custom small box from one big box – all for FREE! I hope you find this useful. If you have a better/more efficient way to ship small items without having to buy small boxes, please let me know! Haha! The winners of the Bengay giveaway are all getting custom boxes. I keep a stash of boxes on hand and usually have one.